If you are shipping your car to Alaska, you will eventually need to pick up your car at the port. 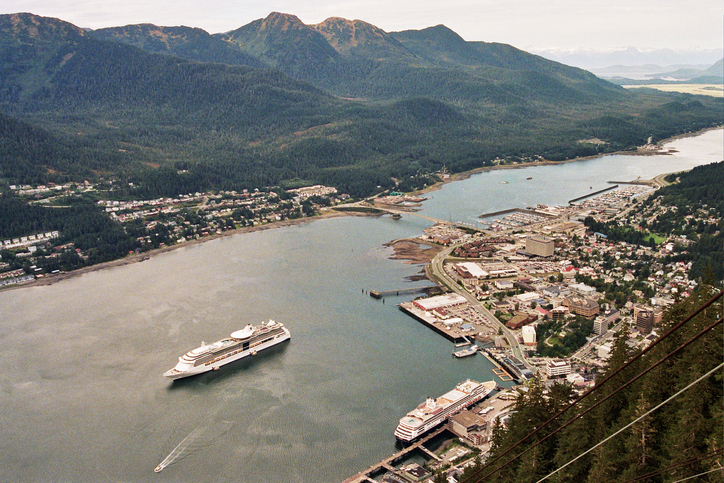 There are several ports in Alaska that you can have your car shipped to. Note that for all ports there is a $450 fee for inoperable vehicles. There is also a $150 fee for any drop-offs made during the weekend. The Tacoma port hours are Monday through Friday from 8 AM to 12 PM and 1 PM to 3 PM. The Tacoma port address is 1675 Lincoln Avenue (Loop), building 200, Tacoma, WA 98421. Storage is free for five days then $51 per day after that. The anchorage port hours are Monday and Wednesday through Friday from 8 AM to 12 PM and 1 PM to 3:30 PM. The Anchorage port address is 1717 Tidewater Road, Anchorage, AK 99501. Storage is free for three days then $79 per day after that. The Kodiak port hours are Tuesday and Thursday only from 1 PM to 4:30 PM. The Kodiak port address is 727 Shelikof Street, Pier 2 Kodiak, AK 99615. Storage is free for seven days then $51 per day after that. The Fairbanks port hours are Monday to Friday from 9 AM to 5 PM. The Fairbanks port address is 615 12TH Avenue, Fairbanks, AK 99701. Storage is free for three days then $51 after that. Get some gas – If you followed instructions properly, you only filled your gas tank a quarter. You will need to get some more gas once you pick your car up. Get an inspection – You will want a professional to look your car over once you pick it up. It is very rare, but sometime bumps during the trip could knock something loose or out of place on your car. Get a car wash – Your car will likely have some dust and dirt from the trip. Get it cleaned as soon as possible. Inspect the car thoroughly – As soon as you get to your car, inspect it thoroughly. If there are any scratches or dents, be sure to make note of it on the bill of lading. Picking your car up at the port is a pretty easy process as long as you are prepared properly. Remember, your delivery date is a window, rather than a guaranteed date. So, be ready to get to the port during the window you were given. It is usually a three to five day time-frame. You will get a couple days of free storage so if you can’t get to the port on the same day your car is dropped off and deemed ready, you can always go the next day or day after that. The port is closed on the weekend, but those days do count towards your free storage. So, if your car is dropped off on a Friday and you can’t make it that day to pick it up, you will likely need to on the following Monday. If you need your car shipped to Alaska, ship it with the car shipping experts at Alaska Car Transport. You can get a free quote today by clicking here.